The awards just keep coming for Justin Lavenue. 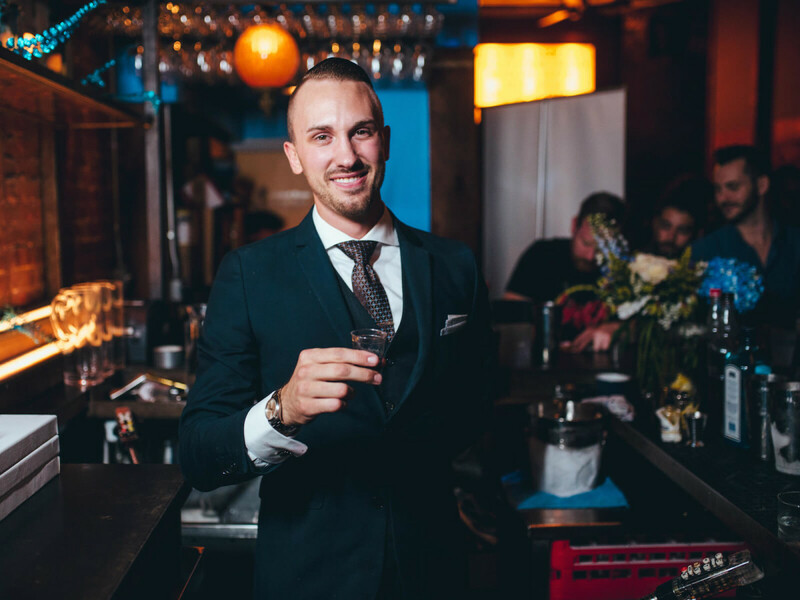 In the same month that he was crowned Most Imaginative Bartender in North America, the Austin bartender has been named one of Food & Wine magazine's Best New Mixologists for 2015. The short list of 10 winners was chosen by Food & Wine Restaurant Editor Kate Krader as well as top mixologists Jim Meehan and Ivy Mix. The award is given to hardworking barkeeps who inject innovation into their cocktail methods and recipes. Lavenue is the only Texas representative in the esteemed roundup. Lavenue can be found behind the bar at The Roosevelt Room, but the mixologist revealed to Food & Wine that his humble bartending background began with "margarita duty" at family reunions. "Margarita mix still haunts me to this day." Shake drinks that contain egg, cream, and citrus. Stir drinks that consist of booze, liqueurs, fortified wines, syrups, bitters, and other liquids that don't need a lot of agitation to incorporate. Fill your shaker or mixing glass with ice when you shake and stir your drinks; it will water the drink down less and chill it more efficiently. Take the time to measure your drinks properly. Oftentimes, the difference between a balanced and an unbalanced cocktail is only a matter of milliliters. For more tips and recipes from Lavenue, visit Food & Wine.